We all have heard that when someone is madly in love, he or she becomes blind in love and does not follow any community, religion, caste, and creed. You can add one more thing to that. to prove the old adage ‘love is blind’ this French woman has gotten engaged to the love of her life, a ROBOT. A French lady, who goes by the name Lilly, has printed the love of her life, got engaged and now wants to marry it. 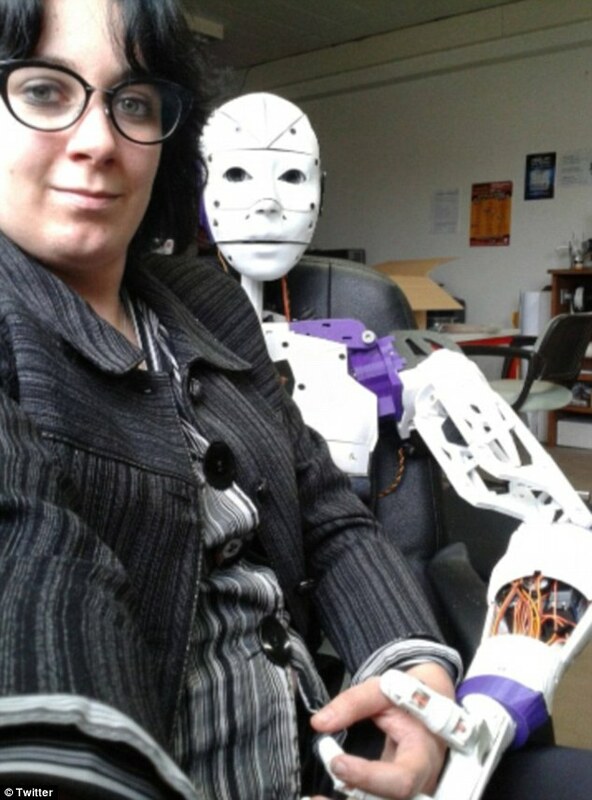 Lilly’s partner is a robot called InMoovator, who she 3D-printed herself and has been living with for a year. She says she will marry when human-robot marriage is legalized in France. So, how did it all start? Lilly said that as a child, she always loved the voices of robots. However, only at the age of 19, did she realise that she was sexually attracted to “humanoid robots” rather than other people. This robot-lover has since built her own dream man with open-source technology from a French company, and has been living with him for a year. “I’m really and totally happy. Our relationship will get better and better as technology evolves,” she said. However, she refused to say whether she and InMoovator have a sexual relationship.